very nice game! I once got Boelters too on my Gw Panther but made my experience: Never tell things like you want TopGun! or Boelter in Chat! In 95% of all cases your "Teammates" will try EVERYTHING - even tk'ing you - to keep you away from getting what you want! Nice game. You hit with 11 shots and killed 10 and injured 4. Dont think the team was unfair with him at all. 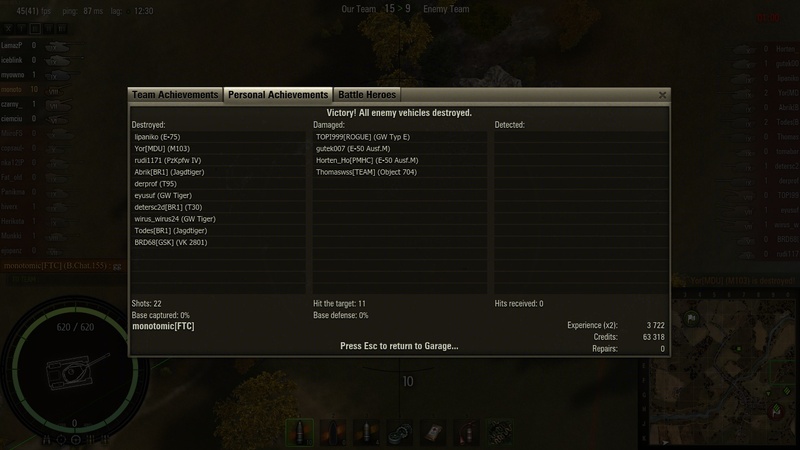 Batchat arty dmg about 500 hp pr shot so mostly last shot on every target here. 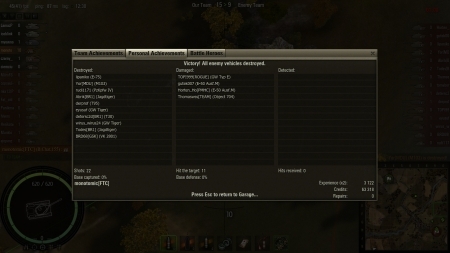 Made 5703 damage in that battle so yes there were some low hp kills. The main point is that I at least dealt damage and didn't just wait for those kills. 5,7 k is really good. Nice work. And not even a french tank you shot at. French is easier to pen so get more dmg. Im impressed:) Dont understand why the former comment say that team tried to sabotage for u?